News — Feed. Teach. Hope. God has been so faithful. When we first visited Christlike Academy, we counted nearly 80 children. Now, at the start of 2018, we have 374 children coming to Christlike Academy! The most wonderful part of this news is, although the numbers are increasing, the cost to support those children is not increasing as exponentially as it should. This is because there are a large number of parents in the Misiri Slums who are working to provide some financial support for their children to be able to attend Christlike. 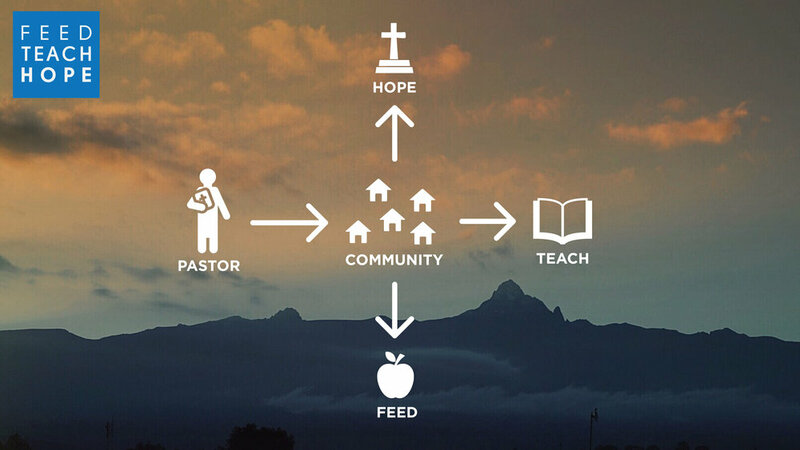 Partners, not only are you partnering with Feed.Teach.Hope., you are partnering with parents, as they begin to see the difference Christlike is making and as they come alongside you and Feed.Teach.Hope. to help their children gain an education, nutrition, and an opportunity to hear the gospel of Jesus Christ! Your support continues to provide the love of Christ to real people, with real difficulties. Medrine Njeri Ndichu, a 9 year old girl attending Christlike Academy, lives with a hole in her heart. She is extremely weak and cannot afford to undergo reparative surgery. She came to Christlike on January 3, 2018 after the death of her mom, Muthoni. Her father is paralyzed in one leg and cannot work and her grandma is also poor and unconcerned with her granddaughter. Little girls like Medrine are hearing the gospel for the first time, receiving nutrition and affection they otherwise wouldn't, and are obtaining an education - all because you are faithfully stewarding what God is giving you. Partners, Thank you so much. We thank God for you and for your faithfulness to Him. This can be such a strange time of year. Surrounding us are types of activities, opportunities, and moments where we could have such wonderful family and life experiences. In fact, many of our favorite movies about the Christmas season have to do with family experiences - both good and bad and extremely comical. Yet is seems like even with all the opportunity around us, we're often scurrying around focused on something else. While remembering a savior that left His place of glory in order to condescend to earth, live a human life, be crucified and raised, should be something we remember every moment of every day of every season; it is during this season that we remember in a special way. It's during this season that everything else should be put on hold. Because nothing else should matter much. Least of all the presents, the photos, the cards, the decorations, and all the busyness that comes this season. It's about a Savior. It's about who we are, how we are loved and pursued by a relentless God despite our mistakes. This season is about failure, rescue, redemption, and restoration. It's about the greatest gift ever given. Turn off the noise. Be still. Bring your family and friends near and spend time recounting the wonderful things that God has done. Not only those very tangible realities, but what it means for you to be rescued by Christ. Because that's what this season is really about - it's about a Savior. I wrote a personal letter to our partners, and felt led to share it with the public and those interested in joining us. I hope it helps you see what your partnership can do. In 2014 I was invited on a trip to Kenya. I didn't know it would change my life and begin something larger than I ever could have imagined. During that trip, while working on a school in the slums of Africa, I met a little girl named Beth. She hung around as we worked and kept us entertained with hugs, smiles, and quiet company. As we prepared to leave for the evening, she waved goodbye and walked out of the gates of the school, alone. As a Dad, all I could see was my little girl walking down the streets of a slum area, with no one to protect her, no one to guide her, and no one being sure she made it home safely. I asked what would happen to her. "She always walks home like that. ", was the answer. That answer wasn't good enough for me. I knew something needed to be done. 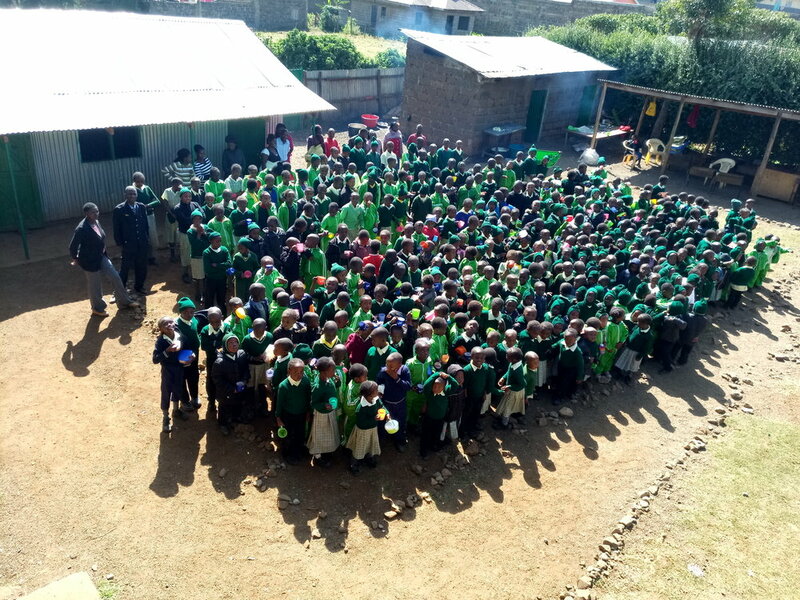 At that time, Christlike Academy was a small two story building surrounded by a dirt yard, and they offered a standard Kenyan education and two meals of porridge and rice to 70 children. Children just like Beth, whose parents had either abandoned them, left them on their own, or left them with relatives. Today, three years later, Christlike Academy sees 180 children a day. The children are provided two meals with rice and vegetables. We have added four classrooms and two playgrounds. The school is fully accredited and is a certified testing center with students who consistently score in the top percentage with their peers in Kenya. It has a fully functioning scouts and physical education program. Not only are the children being educated, but hearts are being turned towards God as children are supported, cared for, and ministered to. Additionally, for three years we have funded the work that Linus is doing in his home church in Misiri and through training church planters across East Africa. In 2017, Linus was able to travel to the United States and receive a Masters Degree, and is now working with an international church planting network, Acts 29, for admittance, training, and networking with other pastors. This wouldn't have been possible without God's mercy, and without a lovely little girl named Beth capturing my heart. And it wouldn't have been possible without each of you, our partners. THANK YOU. You have brought us so far - and we still have so far to go! 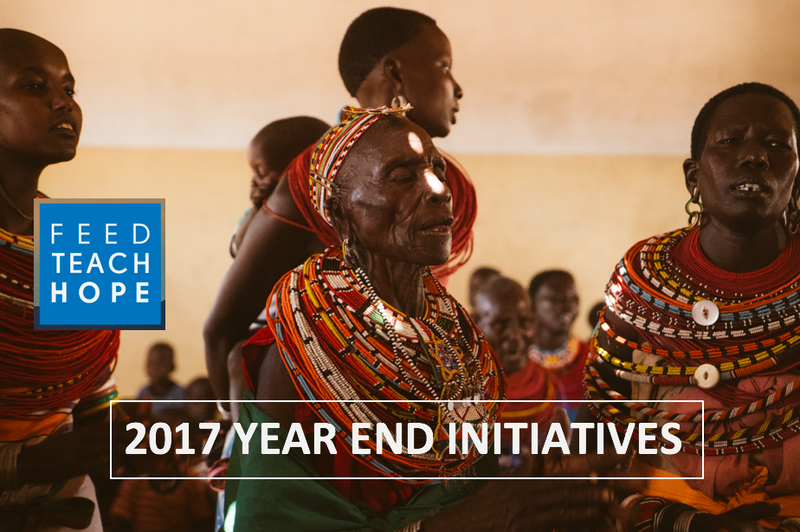 We are asking for you, our partners, to share everything you can about Feed.Teach.Hope. We will be posting news throughout the month of December that you can share. As you share, please do so not only on social media, but pick out a few close friends to sit down with and show our video to, to tell our story to. We believe YOU are our best advocates. We could spend to create large advertising campaigns, but we know that God creates and builds beautiful relationships between our partners and those they know. We want to be good stewards of the gospel message God has given us, and we want to help you be good stewards of it also. Identify 25 friends to share Feed.Teach.Hope. with. Share on social media, in person, through email, and in any other way you want. Point them to our website: www.feedteachhope.org/25for25-18in18, where they can sign up to partner with us. Ask them to share with 25 people they know. We are so thankful to be alongside you in what God is doing in East Africa.Thank You so much for your help and for your support! November 2017 | What Story Is It? Whether we have noticed it or not, our lives are dominated by narratives. We are who we are and we behave as we do because of the narratives of our upbringing. Some of us may believe and buy into those narratives, and they may be positive for us, others of us may see those narratives as lies, we may run from them, and we may live our lives contrary to the stories they tell. Not only do our past narratives shape us, so do our current ones. If we pause to look and listen to the stories we are being told, we can almost see them unfolding before us - page by page. Fictional stories like the prosperity narrative, that obtaining financial stability and material goods will make us whole. There are others, like the image narrative, that we are who we portray ourselves to be, and our likes and followers establish our identity. Finally, one we all so quickly begin to believe, the narrative that the world is broken, and we are so small we can't do a thing to change it. Friends, the world is broken. But praise God that he uses us as His tools to change it. Be cautious of the fictional narratives that you believe, and be even more aware of the narrative you are telling. If someone were to read your life, your actions, your words, as a story - what would they see? The true story, that sin broke the world and now all men have fallen short, that God stepped into that darkness with a light to draw all men to Him, the light and life of Jesus Christ - are you telling that story? In Kenya, Pastor Linus, his wonderful wife Liz, and the other Pastors he trains, are telling that story over and over. They are telling it to the children at Christlike Academy, to the people in the Misiri Slums, and to tribes and people groups that have never heard it before. It's not just a story. It's the story - the story that offers the greatest hope. Thank you for helping us tell this story to East Africa, our prayer is that you continue to tell this same story in your life. Since 2009 I have been working with and attending churches who are part of a church planting network called Acts 29. What started as a small movement of church planters seeking to support and train other church planters in a couple of states, has now grown into an international church planting movement and an organization who seeks to take the story of the gospel to the ends of the earth and to foster a family network of men and women who are called to do that same thing. Last year, Feed.Teach.Hope. and Hamoreh (a partner organization in East Africa) began sharing with Acts 29 about the work that Linus was doing in East Africa with Christlike Academy and with training church planters. Over the past year we have worked with Acts 29 and with Linus to have him go through the rigorous assessment process that pastors with Acts 29 walk through. Because of your help, Feed.Teach.Hope. was able to fly Linus and Liz to South Africa last month to have a personal meeting with representatives of Acts 29. Because of God's grace and providence, I am proud to report that Linus has achieved Candidate status with Acts 29. This means he will work through several activities over the next year with Acts 29 to become a Member. Rejoice with us at God's goodness and help!